I did get the honor to join the judge at the Art Director Club as one of 26 in New York this year. It was a great opportunity to see some god work and met colleagues from other companies. ADC is actually the oldest competition of advertising art in the world. Founded in New York in 1920. 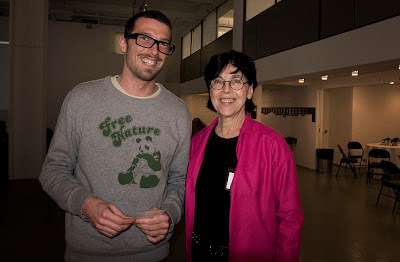 Mauro Gatti from Mutado and The Brainbox with Paul Davis wife who is working for ADC.